Send words of comfort and concern with these lovely 5x7 sympathy cards. 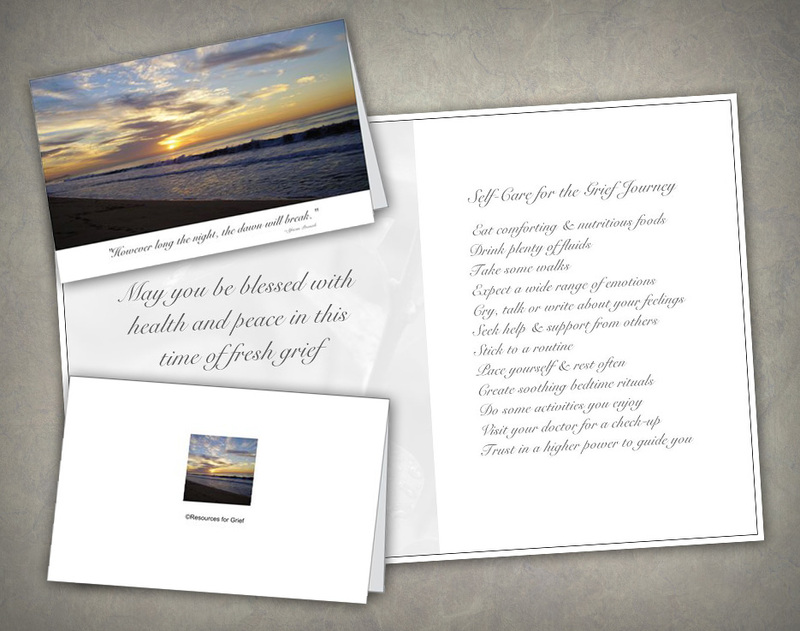 The front of each of the four card designs is graced with a photograph from nature, along with a fitting quote. 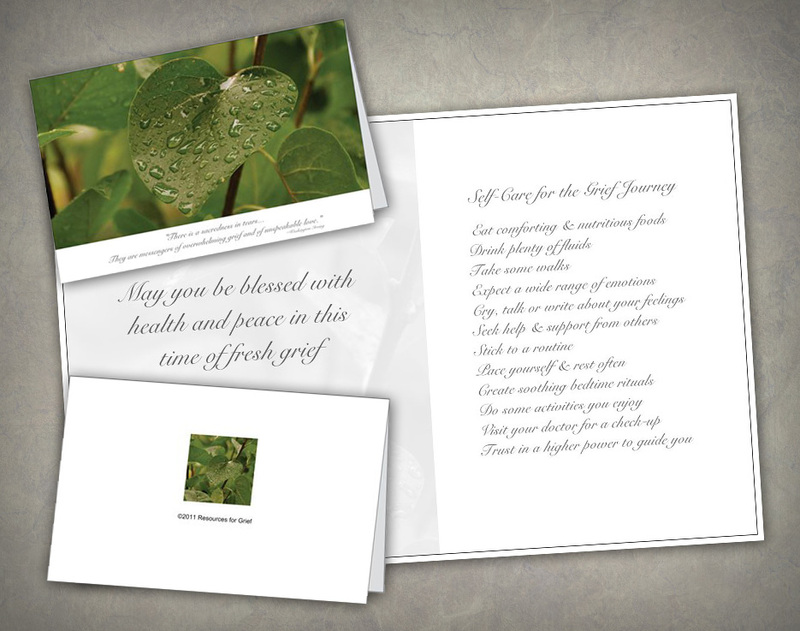 The inside of each card reads, "May you be blessed with health and peace in this time of fresh grief." 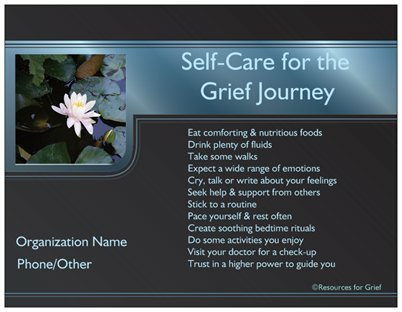 There is also a list of self-care tips--a gentle way to encourage and guide the newly bereaved. 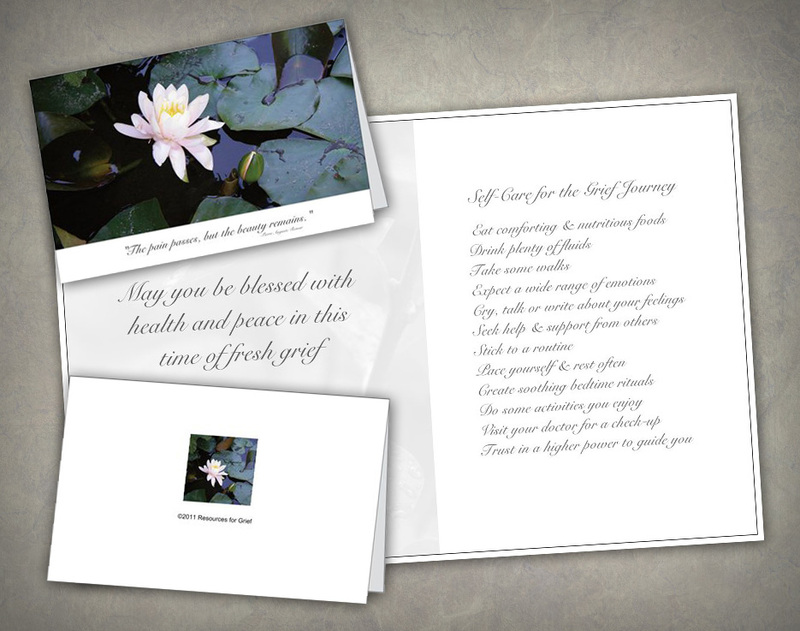 The cards, printed on high quality 100% recycled cardstock paper, have a smooth matte finish. Envelopes are included. Check our quantity discounts, as low as $1.60 per card. Each of these four photo card designs is available with either a famous quotation or a Bible verse printed on the front of the card. 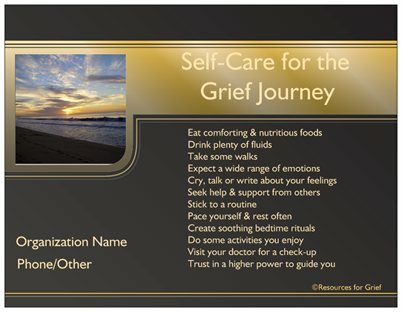 The name of an individual or organization can be printed on the bottom of the cards at no additional charge. 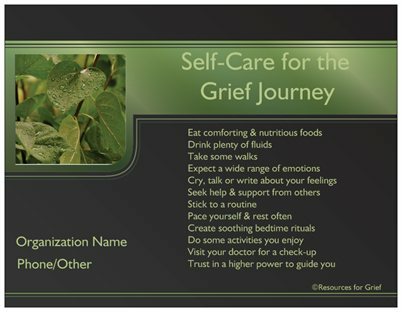 Reinforce the importance of self-care, and promote your organization, by tucking a coordinated refrigerator magnet into your sympathy card. 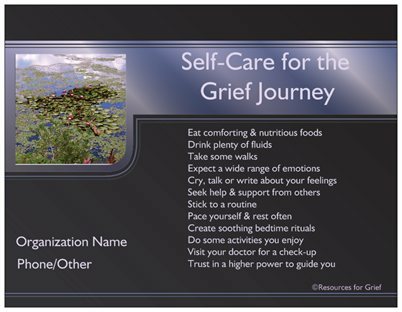 Each beautifully designed magnet, measuring 4"x5", includes a list of 12 self-care tips and a photograph from nature. There is also space for the name of an individual or organization to be printed at no additional charge. Check out the quantity discounts, as low as $1.25 each.